Gymnast hips must fit through 12.5" center ring. Backordered until mid-late April 2019. Medium Twisting Belt approximately 24" - 32" waist, 12.5" diameter ring. Remember! Regardless of gymnast's waist size the twisting belt ring must fit over gymnast's hips. Precision bearing system provides smooth virtually friction free rotation. 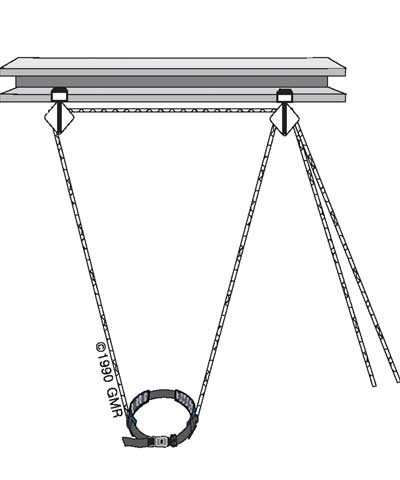 "Hoist Ring" type side swivels, factory pressed to prevent loosening. 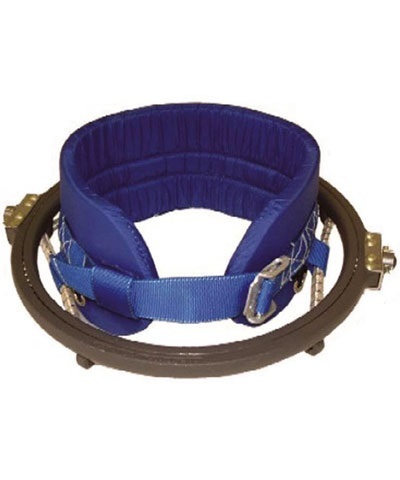 Extremely comfortable belt is padded with 1/2" neoprene and covered with long-wearing nylon.